Venezuelan nationals seeking to enter Nicaragua now require a consular visa with a pre-approval from the General Directorate of Immigration, a process that takes 45-60 days. Effectively immediately, Venezuelan nationals require a "consulted visa" to enter Nicaragua for both business and tourism. The consulted visa requires a two-step application process and takes 45-60 days: a pre-approval from the General Directorate of Immigration, and a visa issued by the appropriate Nicaraguan consulate for the applicant's residence. Previously, Venezuelan nationals did not require a visa to enter Nicaragua. A guarantee deposit equal to the return airfare to the foreign national's country of residence. If an individual is inviting the foreign national: Inviting individual's salary certificate and pay stubs from the Social Security office, and a copy of his or her cédula. If dependents will accompany the foreign national, legalized originals of their vital records (birth and/or marriage certificates) must also be presented. Venezuelan nationals seeking to travel to Nicaragua should allow an additional two to three months to prepare documents and file the applications needed to enter the country. While the official decree related to this change has yet to be released, immigration officials have begun to implement the rule at all ports of entry. 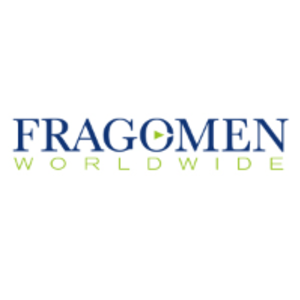 Fragomen can assist clients with applications for the new visa requirement for Venezuelan nationals.